I was involved in an accident where the other party was at fault. He was driving a rental (hertz)and he has liability under Geico. I also have liability under Geico and for that reason my insurance doesnt cover my repair costs, his does. My car is completely totaled. I understand that his insurance will have to cover the actual cash value of my car. My question is: am i entitled to a rental car? Also, I do have injuries so how do I go about seeing a doctor without paying for the costs upfront and waiting to be re-imbursed? Just in case: this happened in DC, I live in Maryland, his car had Virginia plates. 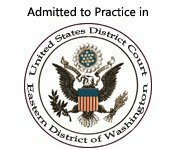 You want to talk to a DC attorney. Generally, you are entitled to a rental car for a short period of time (between the day that it as hit until a few days after the car was declared a total loss). Some states allow for three days after you are told the car is a total (notice is enough), some requires that the insurance company make a first payment and they allow a few days after that date. At any rate, you do want o check with a local attorney regarding this situation.